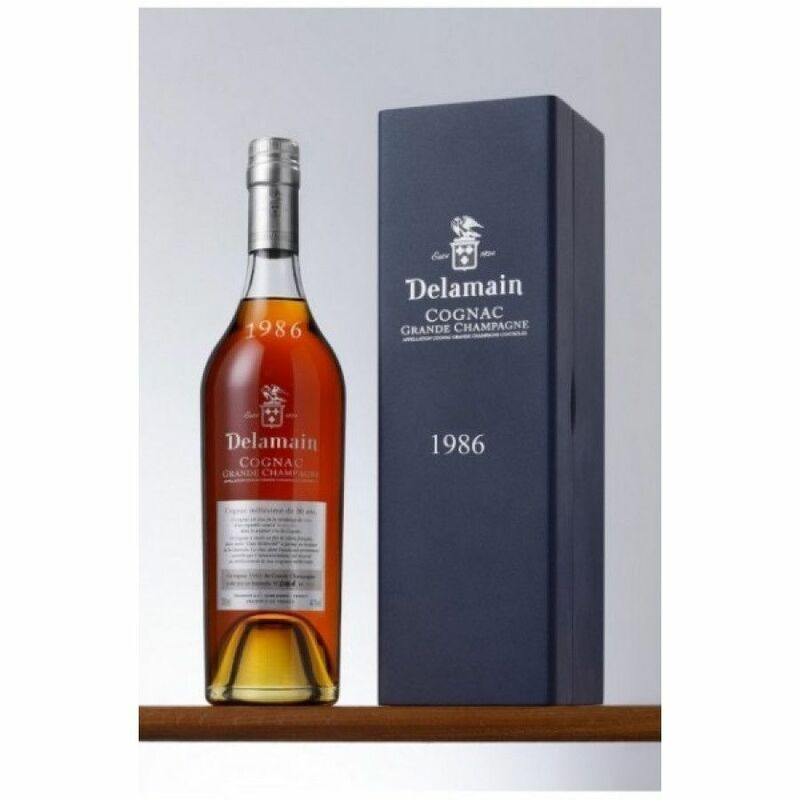 Bottled in 2016, the Delamain Vintage 1986 Grande Champagne Cognac was produced in a limited run of only 660 bottles. The house of Delamain are dedicated to producing only tiny quanities of their vintages - and this one from Grande Champagne began life in the harvest of 1986. Many, many years later, it becomes available to you - after decades of careful aging. The house of Delamain prides itself in selecting only the very best eaux-de-vies to create an exclusive range of Cognacs. And this one is definitely no exception. It's certainly the epitome of how a great Grande Champagne Cognac should taste - one that will hold its head up high at the finest of dinner tables. The perfect digestif, this is a one to enjoy in good company, on special occasions, and when you have plenty of time to savor the moment. If Cognac is art, then this is truly a masterpiece.